I hope your gifts are wrapped and under the tree-and now you have a little time to enjoy the season. 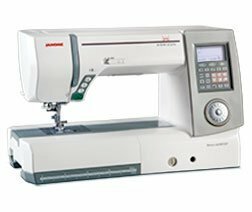 Don't forget a new sewing machine is a gift a quilter will use all year long. 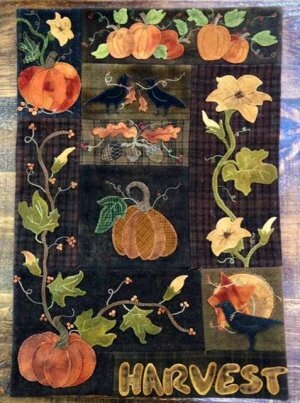 New BOM Beginning January 2017 Heartland Heritage by Inspiring Stitches. 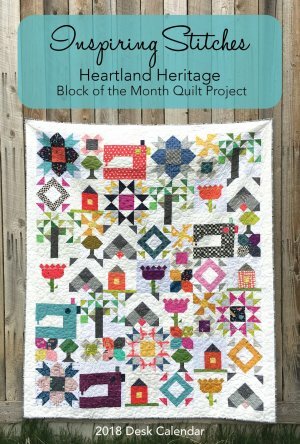 Your 2018 calendar is filled with all the patterns to complete the Heartland Heritage quilt. 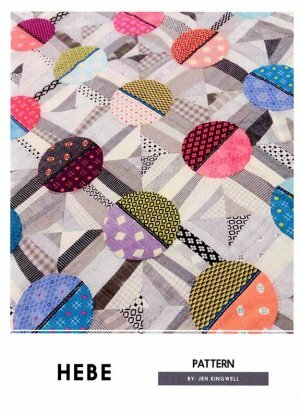 This is a perfect "Stash Busting" quilt. Not sure your stash fills the bill???? 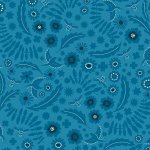 We will offer monthly kits at $17 each. 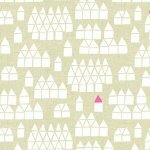 Our kits will feature bright and bold fabrics that will make your quilt pop with color. 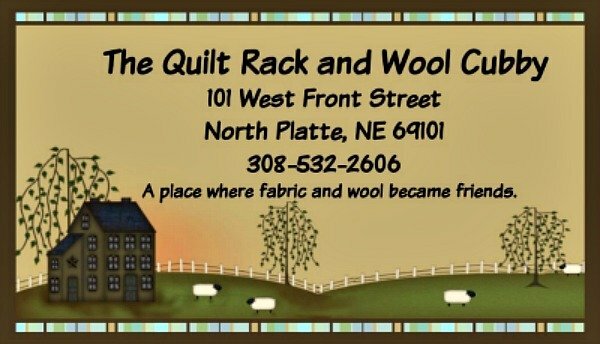 We will feature a monthly class to work on your featured block. 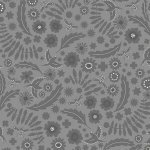 In addition-you will receive even more patterns and ideas to keep you inspired and stitching all month long. The class is included FREE with the monthly kit fee-or $5 a class if you have chosen to use your stash. Classes are scheduled for afternoons of the second Thursday each month. Calendars are avaialble now. Please note-if you register for the kits plus calendar you are committing to the entire 12 month program. We hope you enjoy this unique and fun program. 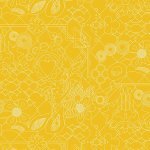 Harvest Wall Quilt BOM program-begins January 2018. This is a 9 month program that will begin mid-January 2018. 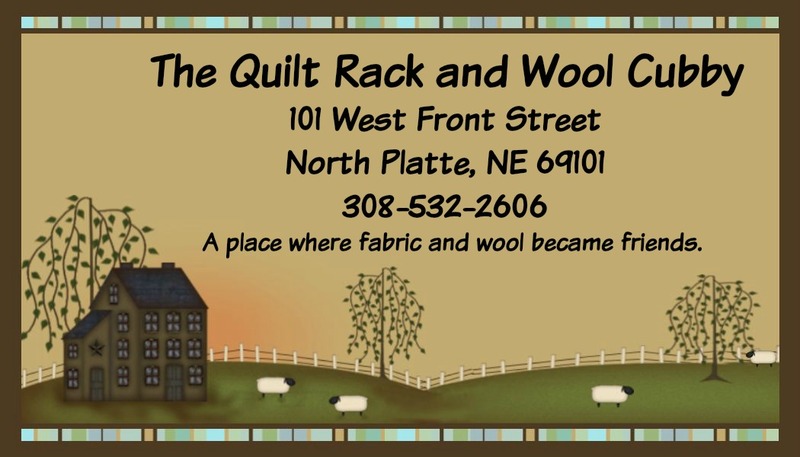 We include all the wool for the top and the original pattern by Cricket Street Wool. Registration commits you to the entire program. We will ask for credit card information after registration and automatically bill each month. 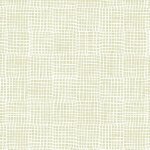 Add some beautiful threads to highlight your project. 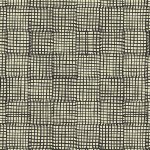 Out kits includes a combination of hand and mill dyed wool's to resemble pattern cover. Fee for registration covers your enrollment. Shipping will be an additional $ 4.95 per month. 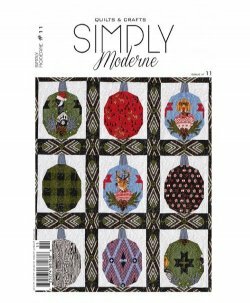 The new editions of Simply Moderne and Simply Vintage are here! 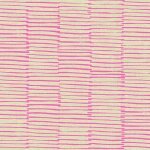 Fabrics are called Lollies-in both Multi and Cool-Each strip features 8 exciting and bold prints. Team with her new pattern Hebe for a modern delight. 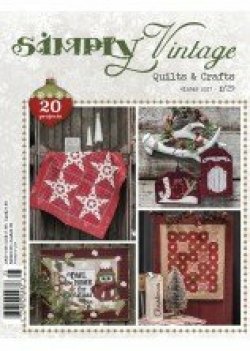 Follow our Facebook page-we are adding great kits at ridiculously low prices-great gifts for the quilter in your life.